This works as an organic pesticide because it gets under the shells of beetles and acts like bits of glass to cut them up and kill them. Snails and slugs will also die if they slink across it, and it works as a deterrent. Well guess what, eggshells work the same way. Allow the eggshells to dry out before crushing them. Grind the eggshells into a powder using a mini food chopper or a coffee grinder. After the eggshells are crushed, you can take them out to the garden and use them right away. 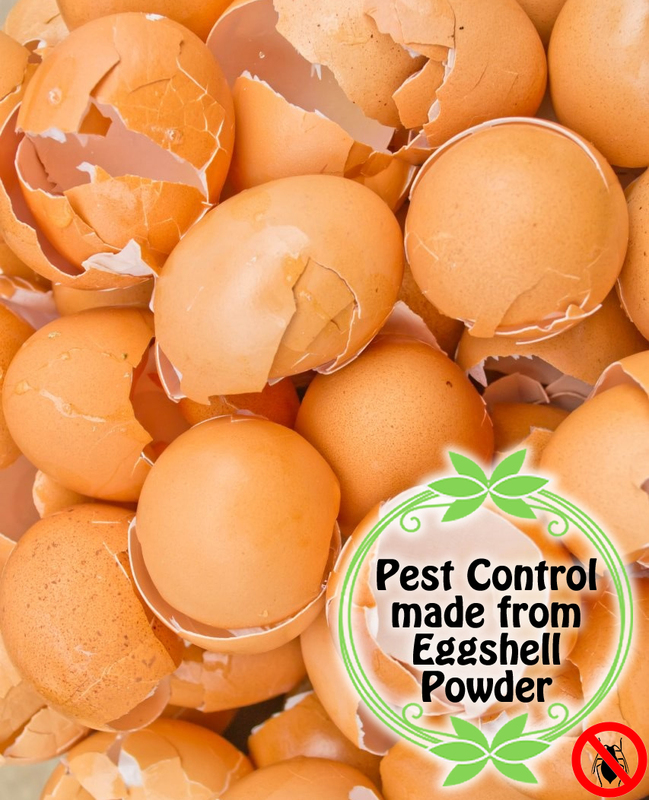 To use eggshells as organic pest control, sprinkle the eggshell powder directly on the beetles. They really don’t like it, and will start to squirm and move around. It won’t kill them right away, but they’ll die in time. For continued beetle control, sprinkle the eggshell powder liberally on the leaves of the plant where you see the most damage. This will help detour the pests, and kill others that crawl on it. Be careful though, eggshells will kill any type of beetle – even beneficial ones. It’s best to sprinkle the eggshells directly on the specific pests you are trying to control. For slug, snail and flea beetle control, sprinkle the eggshell powder around the base of the plant as well. Eggshell powder sprinkled on and around plants will need to be reapplied after a heavy rain.